The Alberta College of Art and Design (ACAD) is a leading centre for education, research, and a catalyst for creative exploration and cultural development. 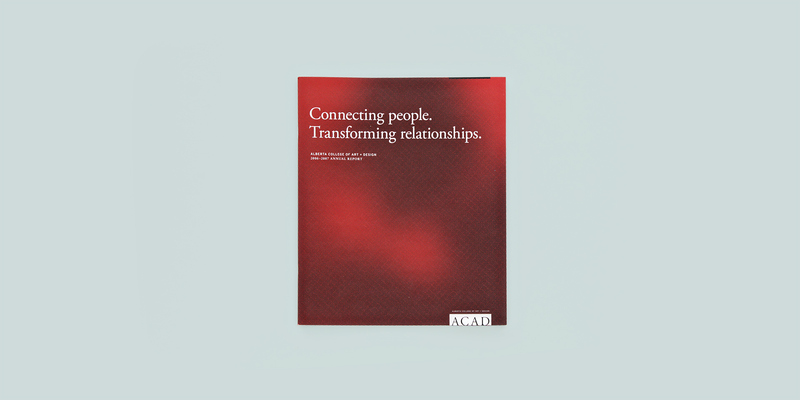 As part of an extensive range of collateral produced for ACAD, the Annual Report focused on the concepts of connection and transformation. This was exemplified through the design in the typographic treatment. Words contained within bold statements connected visually, transforming into a secondary meaning.